Greetings to all CWM readers and welcome to the 2010-11 Season. Must admit that my interest in Curling and related studies is currently nil. Many things have been occupying my time over the summer/fall and have not had the time I would like to work on some of the many ideas that have been rolling around my brain. 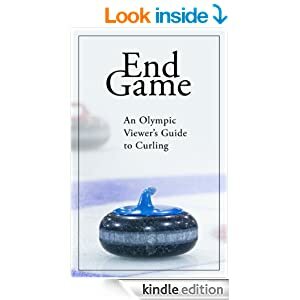 A large part of my reading over the summer was dedicated to Sabermetrics and wondering how baseball (and other sports) use statistical analysis and what would be beneficial if applied to Curling. There is plenty. However, in some aspects we lack the correct type or amount of data necessary to do what could, in my opinion, lead to altering our view of the modern 4-rock game and possibly change the way it is played. So, before I dig into any new articles this year, here are a few thoughts on what we could measure. 1. Shot Percentages: CurlingZone has come a long way in trying to change this and make it more beneficial (6 pt ratings, shot categories, etc) but this should become universal for all events. 2. Rock tracking device: If we can put a sensor into a rock for hogline violation, it would be very simple I expect to also do the following. Place a sensor (perhaps use the same one) in the centre of the rock. Have a sensor in the button. This would allow us to track EVERY SINGLE SHOT. I cannot begin to describe what this could provide for data and analysis. An aside, it could also solve the problem of draw for hammer when both teams cover the button. 3. Ice conditions: Like "ballpark" effects, could be useful if events tracked the ice conditions and that data was kept. For example, knowing the 2005 Brier had 14.5 sec ice and 2.5 ft of curl might be useful. This would likely help when anomolies occur (slow and/or straight ice) but have less use otherwise. - How important is a three ender? - Is holding a team to one (Force Efficiency or FE) more important than scoring two? - How often do top teams/players make: run-backs, hit and rolls, draw around guards, etc and how does that play into strategy. - Effect of the corner guards and centre guards on scoring. And many others. Unfortunately, much of these questions would be better explored with data as I mentioned above (like tracking EVERY SHOT in a database), but we have to start somewhere. As always SEND ME YOUR IDEAS, I'm open to examining any thought on the roaring game, strategy related or otherwise. Of course I'll continue to question in game calls that I see during the Grand Slams, The Brier and other televised events. I may even chime in on the ridiculousness of the Continental Cup and provide my suggestions on how to make it successful. And at some point this season, if the debate of 8 versus 10 ends rages on, I may have to dedicate an entire article to examining which is better for the game and fair to the competition. The answer may not be the same. On Baseball thoughts, the other night I watched Game 4 of the ALCS. Giradi (Manager of the Yankees) walked Murphy with 2 outs in the 6th inning and a runner on second, up 3-2. Molina then went deep for a three run homer and the Texas Rangers never looked back. I hope even non-math folks will ponder the question of why you put the go-ahead run on, in the 6th, with 2 outs. And for anyone that understands the concept of "regression toward the mean", you will know why I was VERY hesitant to cheer the return of Brett Favre to the Vikings this season. So far, the numbers are supporting this phenomenon. Now when will Kevin Martin regress towards the mean, or has he just set a new bar for his own "average" play? Will be interesting to watch it unfold this year.